Mercari, an online flea market, could raise over $1 bln when it lists this month. Tokyo unicorns are rare and this bazaar appeals: it is wooing shoppers and growing fast. Still, a costly push into the United States, tempting but crowded, may warrant a discount at the till. Mercari Inc. CEO Shintaro Yamada poses for a photograph during an interview with Reuters in Tokyo, Japan April 2, 2018. 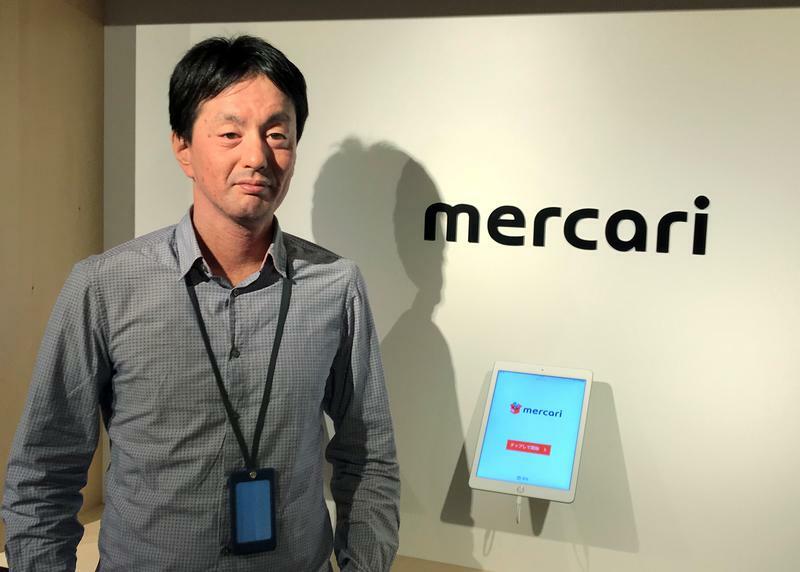 Mercari, a Japanese online marketplace for secondhand goods, launched an initial public offering in Tokyo on June 4, to raise up to 130.8 billion yen ($1.2 billion). Mercari is selling 43.6 million shares, including an over-allotment option. The company on June 1 set an indicative price range of 2,700 to 3,000 yen per share for the offering, higher than an initial range of 2,200 to 2,700 yen. The listing will value Mercari at up to 415 billion yen ($3.8 billion). Founded in 2013, Mercari allows users to buy and sell used items through its app. The company posted a loss of 3.4 billion yen in the nine months to the end of March, wider than a 2.4 billion yen loss the year before. That was largely due to its U.S. business, which lost 6.1 billion yen; the group is profitable in Japan. Overall, Mercari reported 26.1 billion yen in net sales for the period, up more than 70 percent. Bookbuilding for the IPO is scheduled to end on June 8. The company is due to list its shares on the Tokyo Stock Exchange’s Mothers market on June 19. Morgan Stanley and Daiwa Securities are underwriting the offering.